In the past, as a dog matured, we noticed it would begin to put on extra weight and lose that nice athletic, terrier figure. The older dogs have shed this extra weight and do not appear sluggish anymore. All minor skin allergy issues disappeared completely. And their teeth have been scrubbed to a beautiful pearly white due to crunching the raw bones. As well, they do not shed as much, their breath is fresh and they no longer have that general “doggy” smell. They enjoy their meals so much more and look forward to it with enthusiasm. 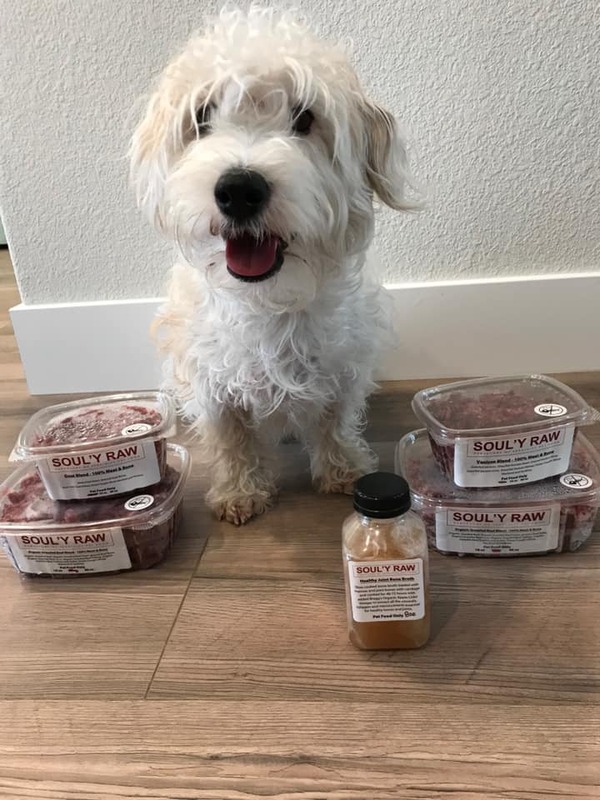 Every terrier in our home is fed a diet of real, human food ingredients. The meats are not cooked, extruded or heat-processed in any way and are completely free of all chemicals, by-products, fillers and corn. Raw, meaty bones should be a part of a dogs diet and we can only hope you will come to agree. 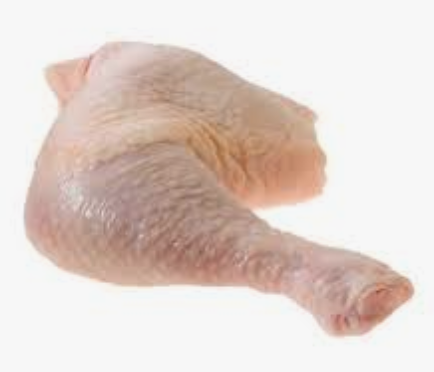 For example raw chicken wings, thighs or necks. The size of the meaty bone is determined by the size of your pets mouth. Don't cut them up - let them do the processing. Meaty bones are the dog's toothbrush and are vital to help prevent gum disease and overall sickness. 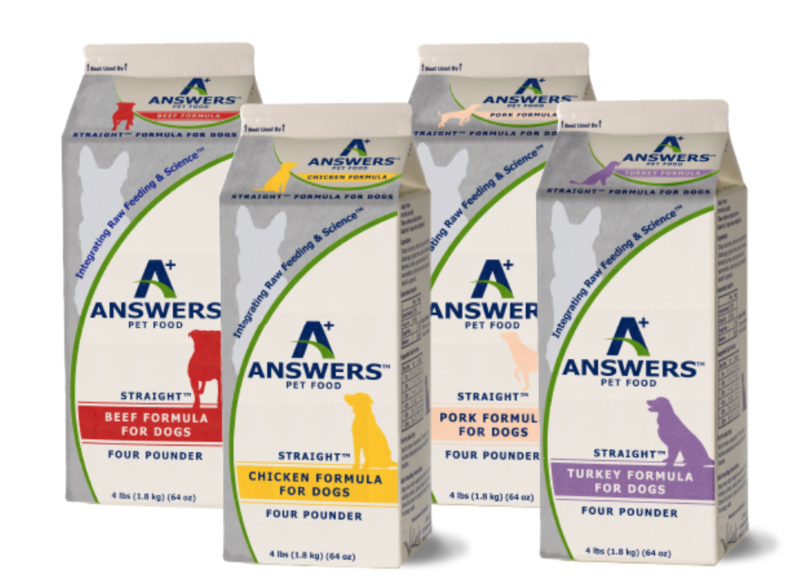 Your pup will have been started on raw feeding before they leave our home. So they will be very used to it and yes, look forward to their meals with gusto! Don’t get confused and think we mean large knuckle bones or bones only. These can often cause tooth fractures and constipation as well as pose a threat as a choking hazard. As with anything, please monitor your pup when he/she is eating. 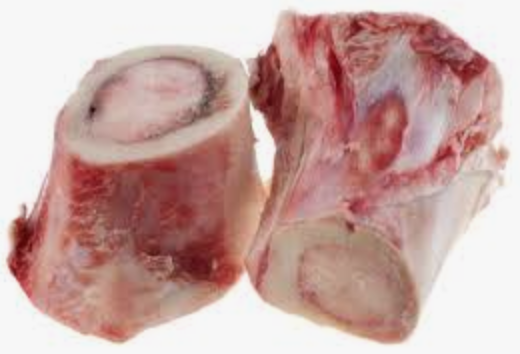 Below are some good examples of the raw meat and bone combination you can feed your dog. Chicken Quarter, Quail, Chicken Necks, Chicken Wings. It's important that you pay attention to where you get your raw food. Not all is considered good because it comes in a package and is fresh. Some raw food it sodium/salt injected and is not ideal for a dogs diet. Or anyones for that matter. Weight bearing, large, marrow bones or bones are not meant to be able to break down and be consumed by your dog. They are used for them to simply chew and gnaw away on to clean their teeth. (An example of these are pictures below). You may also use these for recreational chewing and to combat boredom. Be careful. If you have an intense chewer, they can potential crack a tooth while chewing. We highly recommend the pre-made foods shown below. 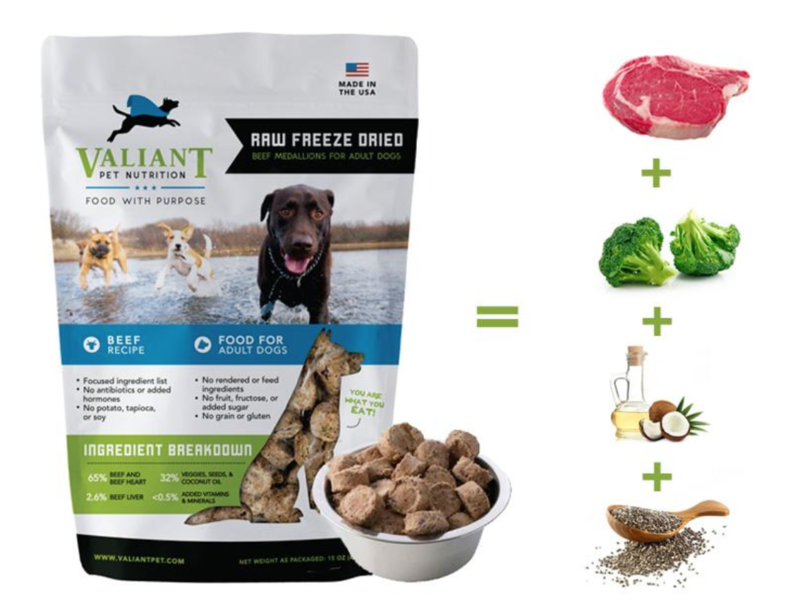 These companies sell raw frozen and raw freeze dried formulas. 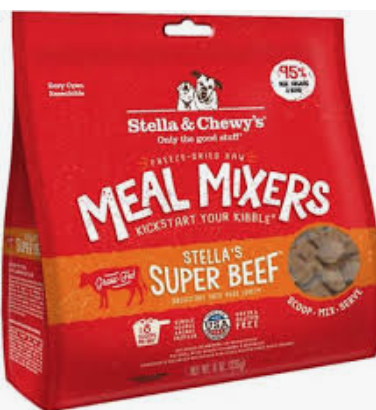 Tip *A great way to better a kibble only diet is to mix freeze dried "stella & chewy meal mixers" with the kibble. *When selecting a commercial, raw food, it is important to see if they meet the AAFCO Dog Food standards. If they do not, this means you will need to be sure to supplement as the formula is lacking some necessary vitamins and minerals. Here is a list of the top rated, commercial, raw foods on the market today. You can feed raw two different ways. 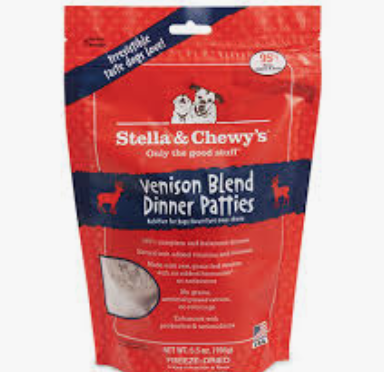 Raw, pre packaged and balanced meals (Darwins, Weefeedraw) or raw, frozen or freeze dried completely balanced meals (Stella & Chewy or Sojos). With both; we recommend you add an omega 3 (we recommend Dr. Dobias "feel good omega") and a probiotic (we recommend K9 Power, "Immune Dog") to their meals. Please see view our supplements page for more recommendations. Primal and Stella & Chewy can be ordered at a competitive price on Amazon. Most are also carried in your local pet food store. Primal Stella & Chewy. Raw food recommendation - Vital Essentials, Valiant, Answers, Rawganics co op, and Steve's Real Food. on. If you are going to feed a 100% raw diet. We suggest you feed 80% lean meat, 10% bone and 10% organs. You must also add an omega 3 and probiotic to their diet. Please visit our SUPPLEMENTS page for our recommendations. An elderly or ailing dog may fall prey to this. An otherwise healthy, pup or dog produces stomach acids too strong for the salmonella. In other words - it is safe and fine for them. Dogs guts are not made up the same as ours. 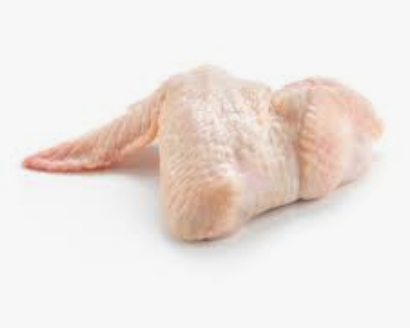 Chicken that is NOT cooked by any source at all, are great for them. The bones do not splinter if not cooked. As always, like anything else, it can be a choking hazard. So I never feed them chicken with bones unless I am right there watching until they finish. Most of the bacterias can be killed off if the red meat is frozen solid and then thawed. 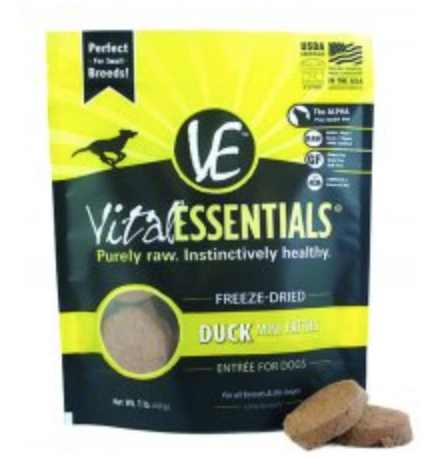 It does not kill all bacteria present, but most and is then considered safe for dogs to eat raw. Again, a dogs gut make up is different than ours. As a rule, I personally do not give them much pork-on-bone. The bones are quite sharp after being butcher cut. I do feed it to them on occasion - but maybe only a few times a year. When it comes to organs, make sure that you feed at least liver. Liver and kidney is better. Liver, kidney, pancreas, lungs, etc is even better. Liver can be fed roughly once every 10-15 days. 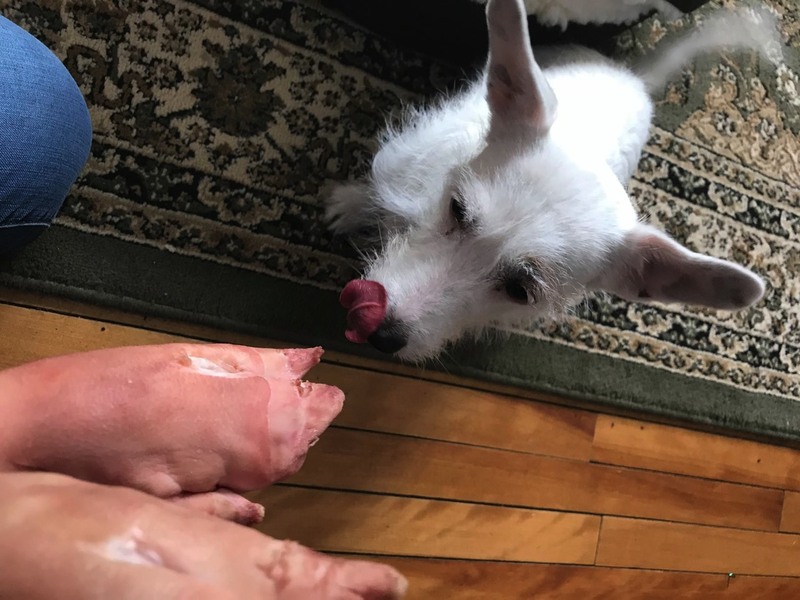 A couple of our terriers simply will not touch raw liver; so we do bake it for a few minutes first. Heart and gizzard are both considered muscle meats when it comes to nutrition and do not count as organ meat. 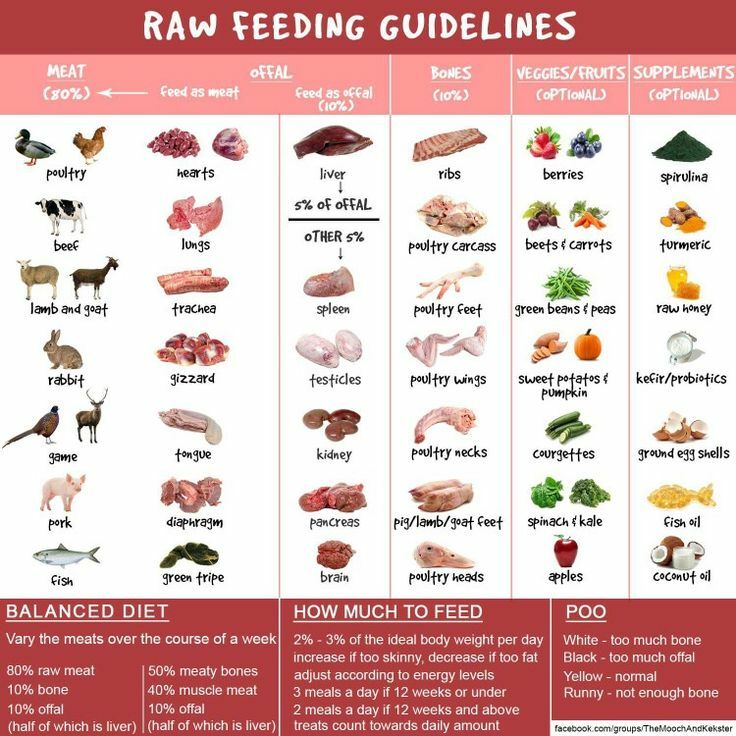 Below are some raw feeding guidelines to follow if you want to feed your jack russell terrier 100% raw. As an experiences jack russell terrier breeder I recommend this diet. Very simple to do; We alternate raw with dry - never feeding both in the same day. Some dogs and/or breeds may not be able to handle this constant change of diet. Our dogs have always done fine on it. We will typically feed raw say three days in a row and then three days on kibble and cycle again. You can get serious about raw feedings and creative with more exotic or hard to find meats (kangaroo, bison, rabbit and so on) or you can keep it simple (beef/chicken) and give it as a supplement, treat or in place of a meal a few days per week. 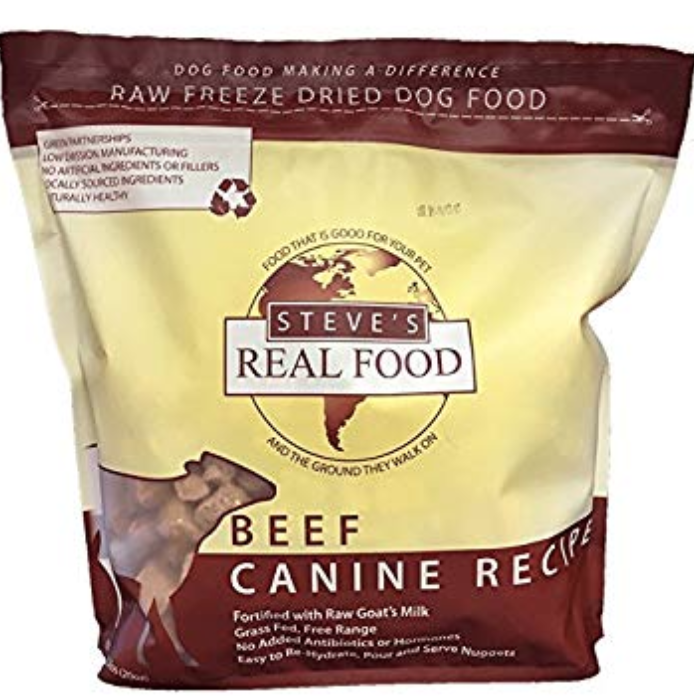 We have fed all kibble and we have fed 100% raw only for an entire year. For us, a 50/50% diet works best. *You can buy a family pack of wings or thighs, put them in sandwich baggies and then thaw as needed. Same thing with satin balls - I make a big batch and freeze, then thaw as needed. "Satin Balls" are a nice occasional “surprise meal day” and also good for hard keepers who are very active or are hard to keep weight on. SATIN BALL RECIPES can be looked up on the internet. 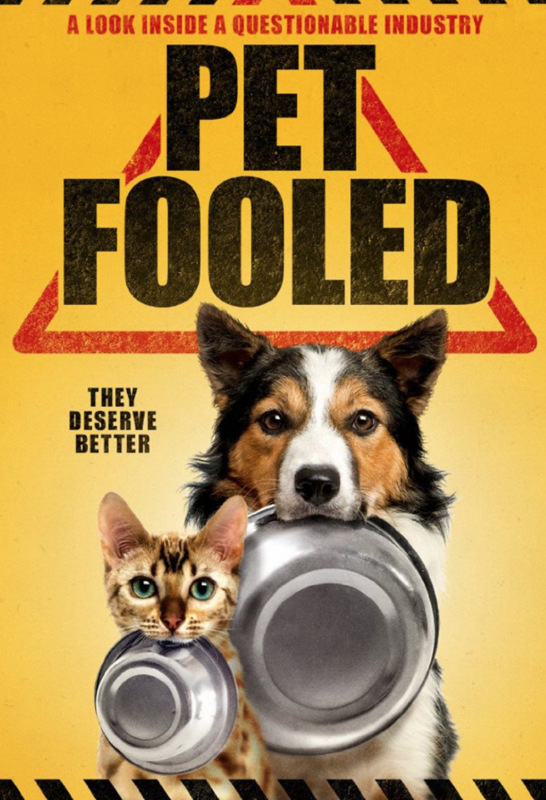 A great biography about the dog food industry to watch on Netflix - "Pet Fooled"
Keeps teeth clean - no toothbrushing, bad breath or gum disease. 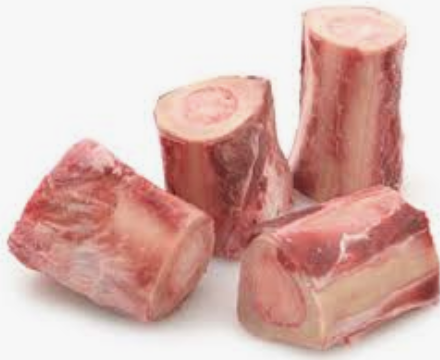 Chewing raw meaty bones give stomach time to get acids moving to help in digestion. Not any more expensive than feeding a high end kibble alone. In fact, it is usually less. Similar to a wild dog - domestic dogs have a digestive tract exactly the same as a wolf. 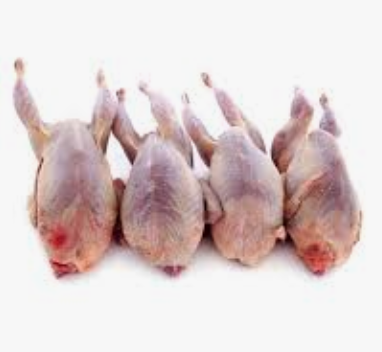 The ripping and chewing involved in eating raw meaty bones develops the jaw, neck, and shoulder muscles. Commercial dog foods can't assist in this muscle development. Gweni getting quite the raw treat. Raw pigs feet! 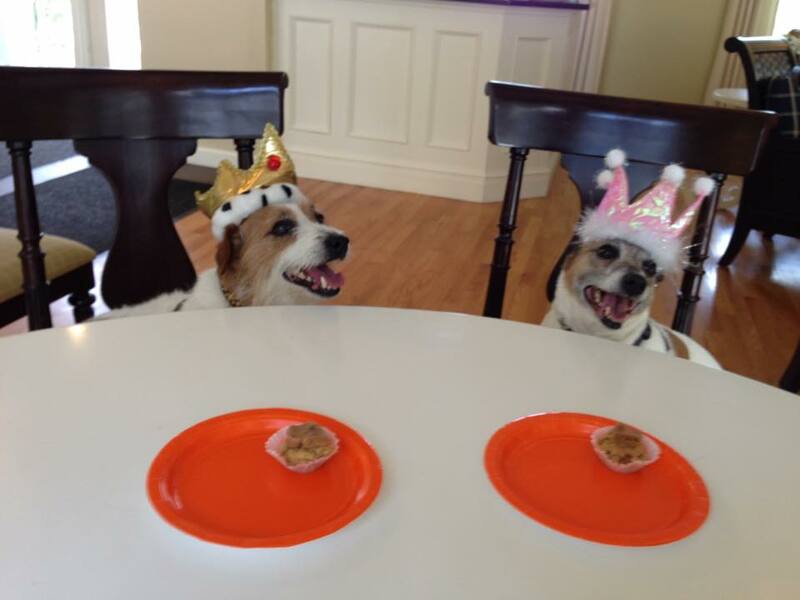 Our Jack Russell Terriers love to eat raw. 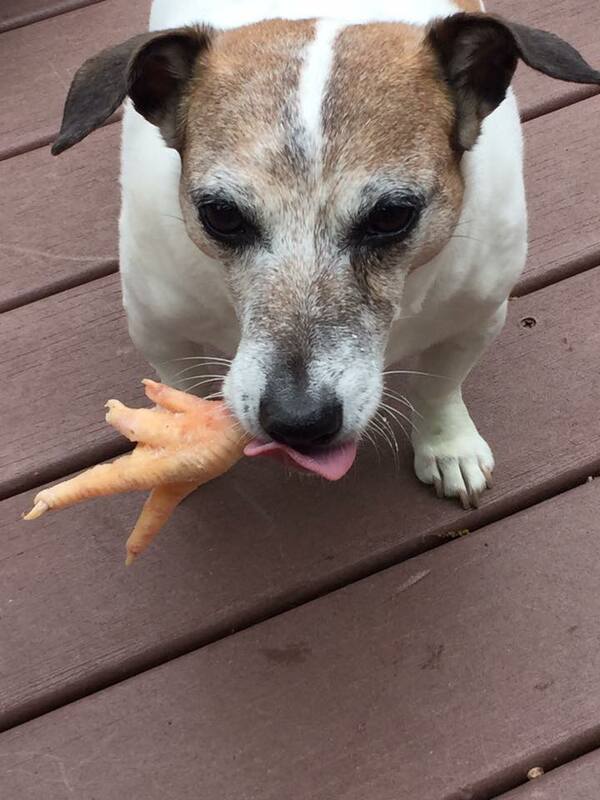 Boudi eating a raw chicken foot on her back deck in Massachusetts.